The Cloud world is getting saturated with online Cloud Services. You can use Google Docs, Microsoft Azure, or even Drop Box and Box.net just to name a few. 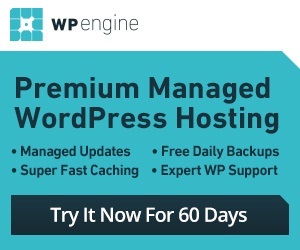 You can even be creative and use a WordPress.com account for several Gb of free storage (i.e. poor man’s hot link solution). You can buy backup or DVD burning software and use their online storage. You can even buy an ASUS laptop or netbook and take advantage of their services. Everyone is going storage (after bandwidth, of course). Amazon Cloud Drive is another service, but it only allows you to upload one file at a time with your web browser. There is no fat client to install. Like most services, they organize your files in 4 categories: Documents, Music, Pictures, and Videos. This is mostly for one time backups, and not recommended for dynamic data. NOTE: You will need an Amazon.com account and not Amazon.ca or Amazon.co.uk. The price for 20Gb of storage is $20, and $50 for 50Gb per year (about 8 cents per GB per month). 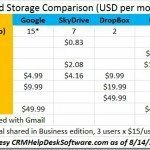 This is different compared to Amazon S3, which charges $36 for 20Gb and $89 for 50Gb per year. At 15 cents per Gb per month for S3, that rivals Google Storage at 17 cents per Gb per month. Expect these prices to drop as with lower storage prices in the future. The main purpose of this service is to backup your MP3 files, along with Amazon Cloud Player. In fact, if you order an Amazon MP3, your 5Gb free storage is bumped up to 20Gb, as long as you are a resident of the United States with a U.S. billing address on file. Since Mp3’s sell for as little as 99 cents, that’s a pretty good price for 20 Gb of online storage. And songs purchased from Amazon MP3 never count toward your storage limit.